A gentleman named Eric Lawrence has developed a very useful Web debugging tool named, Fiddler. The Fiddler Web site is http://www.fiddler2.com/fiddler2/version.asp. I've used this tool recently to pinpoint performance issues, security issues, and authentication issues. 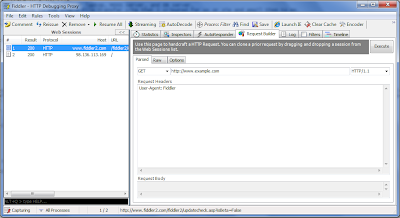 "Fiddler is an HTTP debugging proxy written by Eric Lawrence of Microsoft. It seamlessly captures HTTP traffic and logs it for the user to review. It can also be used to "fiddle" with HTTP traffic as it is being sent. By default, traffic from Microsoft's WinINET HTTP(S) stack is automatically directed through Fiddler at runtime, but any browser or application can be configured to route traffic through Fiddler. 1. 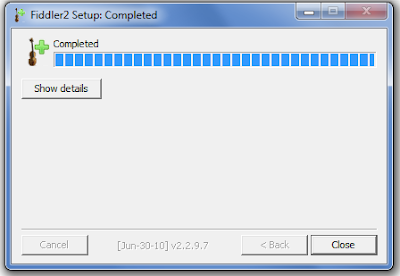 Open Fiddler (Start > All Programs > Fiddler2). 2. Begin a trace (File > Capture Traffic). 3. Launch Internet Explorer and produce the activity you would like to trace. 4. Stop the trace (File > uncheck Capture Traffic). 5. Save the trace file (File > Save > All Sessions). 6. Now, you are able to analyze the activity and pinpoint issues. You may also consider comparing the Fiddler trace to the Application Event log from the client and server machines. Lawrence, E. (2010). 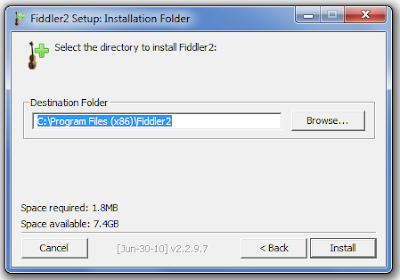 Fiddler2 - Installation Information. Retrieved July 20, 2010 from http://www.fiddler2.com/fiddler2/version.asp. Wikipedia (2010). Fiddler (software). Retrieved July 20, 2010 from http://en.wikipedia.org/wiki/Fiddler_(software).